You are here: Home / Bravo's Below Deck / Yacht Stewardess: Does the superyacht industry still use the term “steward/ess”? 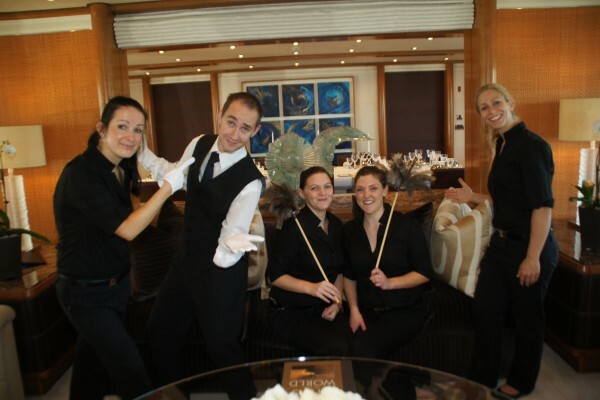 Yacht Stewardess: Does the superyacht industry still use the term “steward/ess”? It must be contagious for Sam as well, because she continually uses British intonation, injecting a high-rising inflection when she’s asking questions. While it’s slightly annoying on the show, at least Sam hasn’t been shown using the word “cheers” for “thank you” (a pet peeve of mine when used by Americans, whether said verbally or as a sign-off to email/text correspondence). Either way, it got me thinking about a Stew Confession that I include in my book, The Insiders’ Guide to Becoming a Yacht Stewardess. My story isn’t necessarily related to the use of accents onboard; however, I have to admit that after a year living abroad between London, England and Edinburgh, Scotland during my pre-yachting days, and then again working aboard a yacht where I was the only American amid an international crew, I quite often found myself unintentionally picking up on their accents, mannerisms, and slang. In fact, at one stage I believe I even referred to myself as a “septic tank” (Cockney & Aussie rhyming slang for a yank—an American)… But I digress, for that isn’t the Confession that comes to mind. A yacht stewardess (yes, stewardess) at work. This one is for my female, American readers. Stewardess: Yes, this is the job title that was banished from airline-industry terminology during the political-correctness movement back in the ’90s (a move toward “equality vocabulary” is, I believe, what they termed it). Stewardesses, as we once called them, became known by the more gender-neutral, and for some, more professional-sounding title of: Flight Attendants. You’ll quickly learn that many of the terms in yachting are dictated by British standards, as is the maritime industry on the whole. Beyond nautical terms, the more regal and formal-sounding (at least in my opinion) British vocabulary is even favored in a yacht’s interior department. 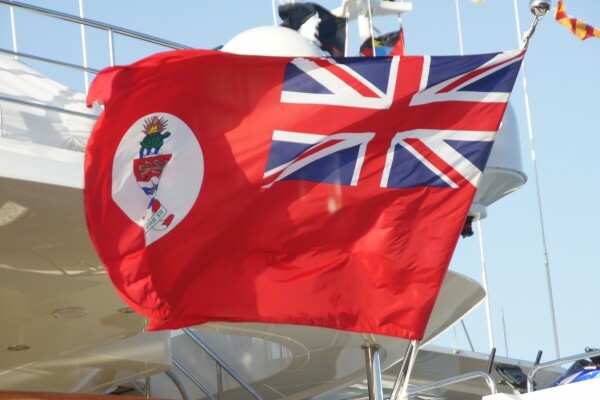 The official flag of the Cayman Islands, a British Overseas Territory and the word’s leading offshore luxury yacht registry. Red is for use at sea, based on the British blue & red ensigns. Now, tell me that doesn’t sound prestigious? Learn more about getting started with a career in the luxury yachting industry by ordering your copy of Julie’s book today.